British data center operator Virtus has opened London’s largest data center campus, with 70,000 square meters of space and 40MW of power capacity available to potential customers. The site is located in Stockley Park and is comprised of two facilities, codenamed London5 and London6. The first tenants have already moved in. Virtus is a subsidiary of ST Telemedia Global Data Centres, and the fastest growing data center operator in the UK. 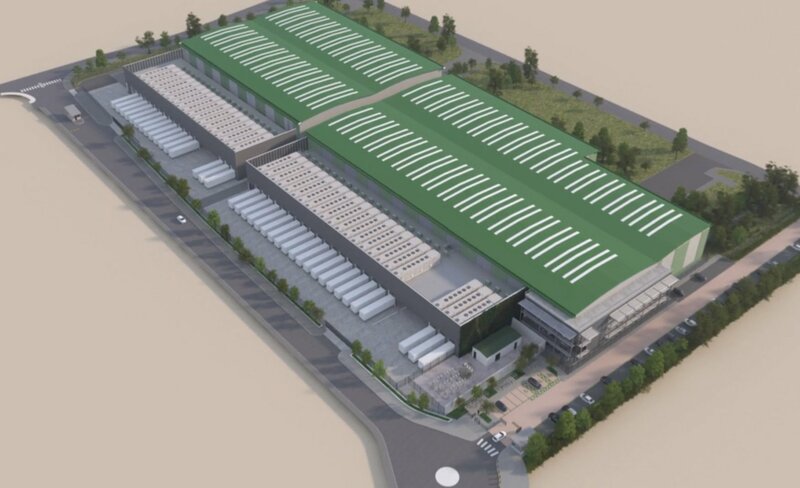 Its latest project is located on a 17-acre plot of land along the main fiber route joining the data center hubs of Slough and London, and just minutes from the Heathrow airport. The campus has a total power supply 120MVA, delivered from diverse grid connection points. The design of the new facilities has been certified by the Uptime Institute according to Tier III requirements – however the campus is yet to obtain Constructed Facility certification. The company notes that its data halls are fully compatible with immersion cooling, an emerging form of liquid cooling that sinks IT hardware in large tubs of mineral oil for improved efficiency. The Stockley Park campus brings Virtus’ total colocation capacity in London to 90MW. The company is already planning its next facility, London7, to be located on the same campus, while also working on another facility in Slough, codenamed London3. “The go live of our Virtus Data Centre Campus at Stockley Park is part of an important year for Virtus. We continue to see a burgeoning demand for colocation in the UK data center market, as enterprises and cloud providers scale out their platforms to meet user demand for digital services,” Neil Cresswell, CEO of Virtus Data Centres, said. Virtus’ parent company, ST Telemedia Global Data Centres, owns and operates more than 50 data centers across India, China, Singapore and the UK.